Tenkin’s ramen is considered some of the best in the world! 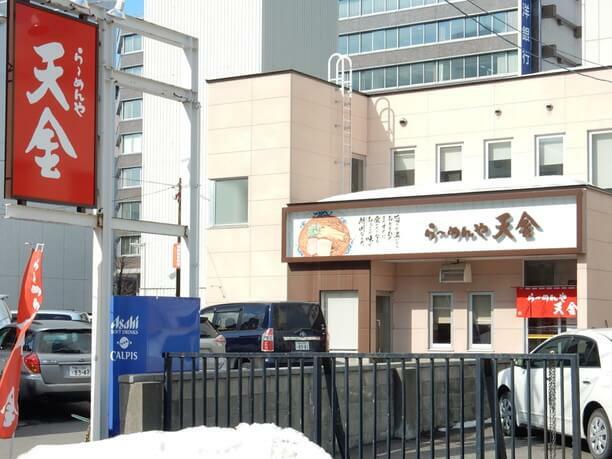 Tenkin ramen is one of the representatives of Asahikawa Ramen which has become famous nationwide. Their soup has a reputation for appearing greasy until the oil film is peeled off, but then it exposes an elegant taste that it is surprisingly robust. Yon-jo store is an unobtrusive store standing a little behind the street. Customers come through the front doors of this shop one by one as the day goes by. The taste of a this famous store attracts many people. For more than half a century this shop has ben a leader in the ramen marketplace! The shop was founded soon after the war and has been called the grandfather of Asahikawa Ramen. 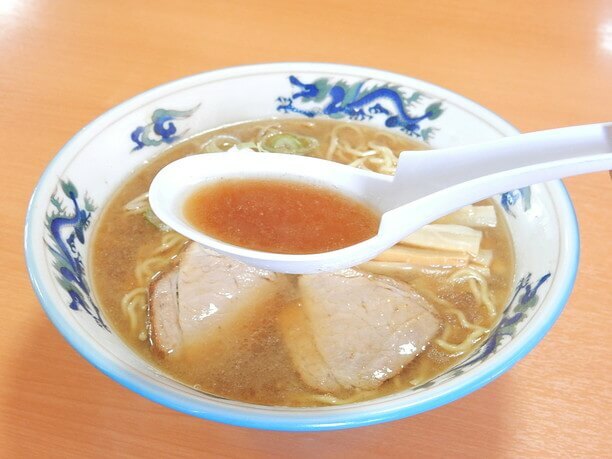 With its somewhat elegant taste, this popular dish, attracted many of the local people and its reputation and became one of the reasons for raising the familiarity of Asahikawa ramen. Its popularity continues to increase and has established their stores as a front-runner in the competitive ramen market. The taste of the Tenkin ramen has created fans all over the country now. 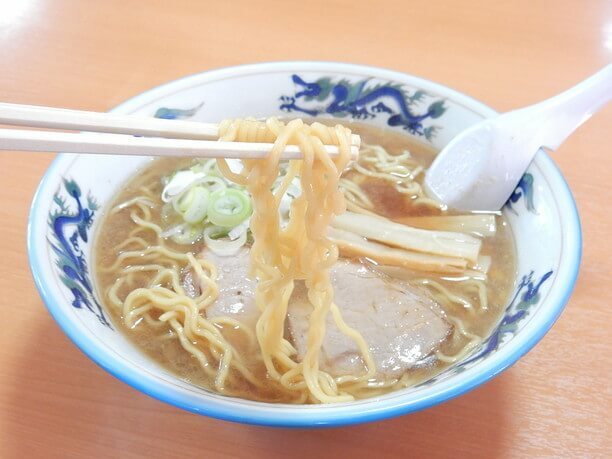 The classic regular oil ramen (700 yen) at the Shijo store near the city center is one of the main reasons for their popularity. Their ramen requires two days of careful preparation. The best feature of their soup is that it is possible “to enjoy it even in the cold winter.” Since the oil film forms on the surface, it will not lose its heat and you can eat it hot until the end. At first glance, it looks greasy, but when you eat it is surprisingly clear and tasty. 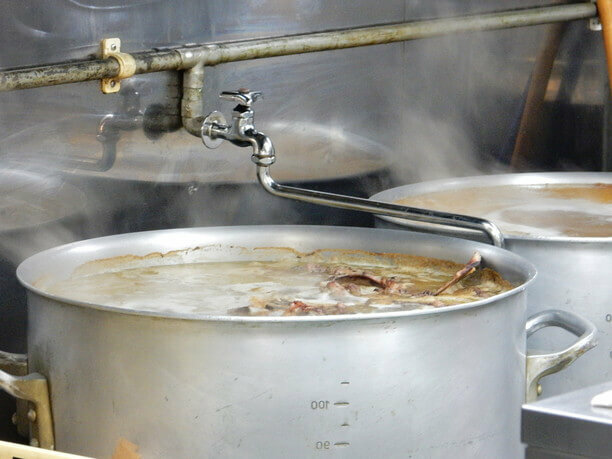 Its fat is not from lard, rather than from the stock ingredients used in making the soup’s base. They simmer slowly pork bones and chicken sticks over a low flame for two full days. Most guests will drink the soup all the way to the end. Between sipping noodles, and drinking the soup you definitely understand why it is so popular. The soup and noodles ingredients unite creating the finest taste! 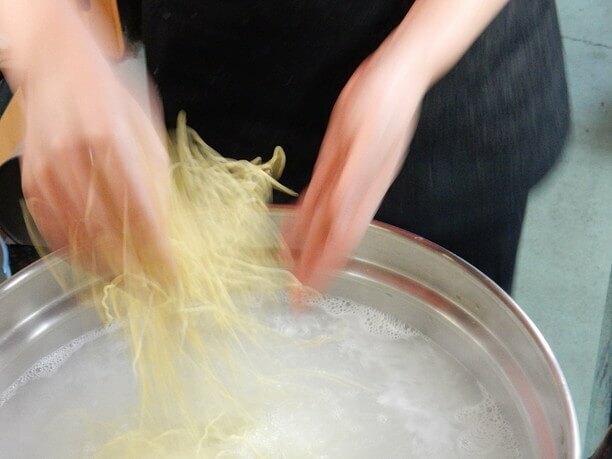 The noodles are a special part of the ramen. They are small crumpled noodles characterized by low moisture content and easy absorption. Therefore, the soup is easily soaked into the noodles. The noodles are boiled with careful attention and are crispy with rich flavor. Furthermore, the taste of the soup and the noodles united, create a wonderful sensation when you put them in your mouth. Also added to the ramen is the inside portion of pigs legs, stewed with raw soy sauce. All the ingredients work well together to produce a ramen that is very popular and has many customers enjoying it on a regular basis. A secret ingredient that adds to its popularity is miso. Theirs has a slightly sweet and rich taste. If you visit with a group, you may want to try different flavors and share and compare with your friends! Enjoy a wide range of taste from the side menu! 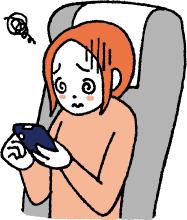 You will also want to select items to enjoy from the side menu. 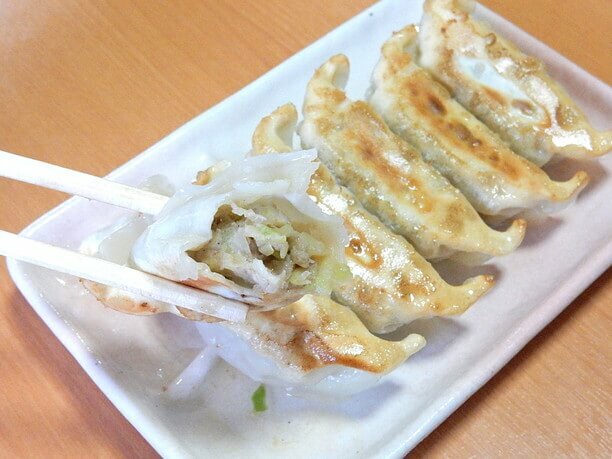 The classic dumplings (6 pieces 390 yen) with their crisp skin and juicy inside go well with the ramen. 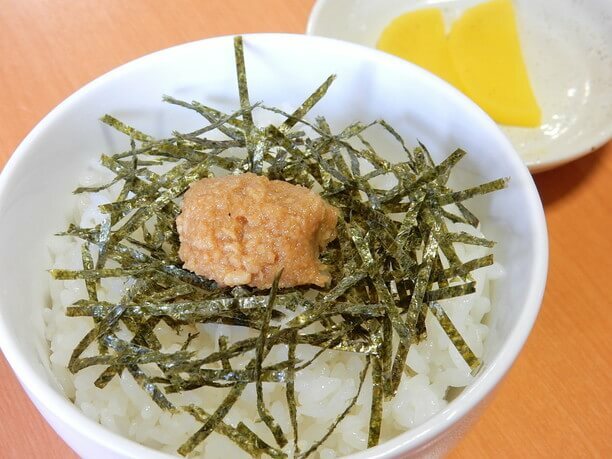 Also their mountain wasabi rice (180 yen) is attracting popularity. Not only locals but also a lot of tourists are making their way to the shop. In the tourist season, long lines will stretch in front of the store. There are customers who have said” Tenkin ramen is the best in the world! 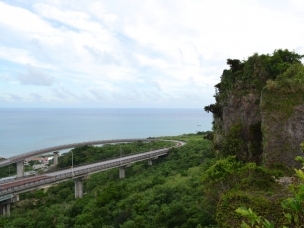 “Thanks to those people, I feel that I can continue the store,” said Nanao Fujita, president. All menus items are available in half size. This is ideal for people who want to sample the taste of many small restaurants and specialty shops. 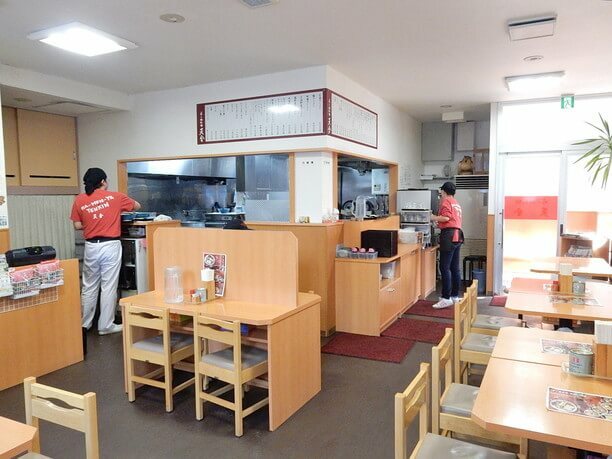 Lunchtime is particularly crowded even on weekdays because it is a popular shop. 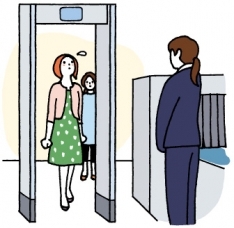 People who want to eat slowly are recommended to visit around 2 pm. 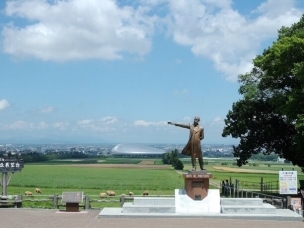 When visiting by car, please go to a store in the ramen village in Nagayama cho. Because it is equipped with spacious parking, you will not have trouble parking. With pork bones as a base, it has a delicious but not too strong flavor. 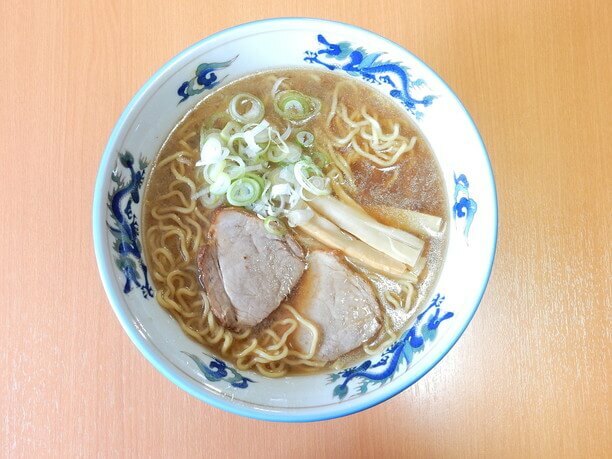 It has a richness, that is refreshing, and considered a rare elegance in ramen. 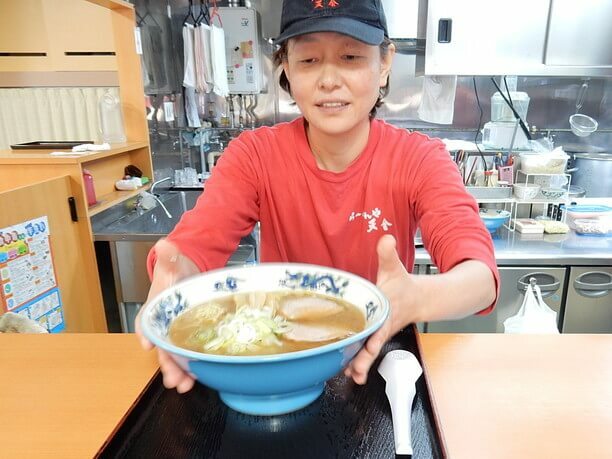 Aoba’s Asahikawa Ramen will warm your heart! 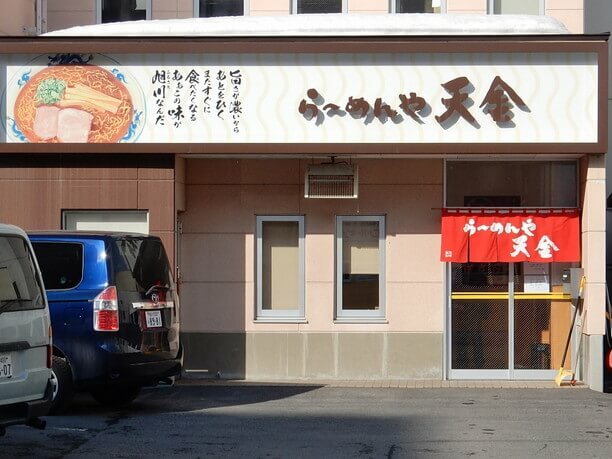 Hachi-ya is a long-established store that supported the creation of Asahikawa Ramen! People from Otaru City love the taste of the ramen at Ramen Shodai. It hasn’t changed in 21 years!